Have you been eating enough polyphenols? 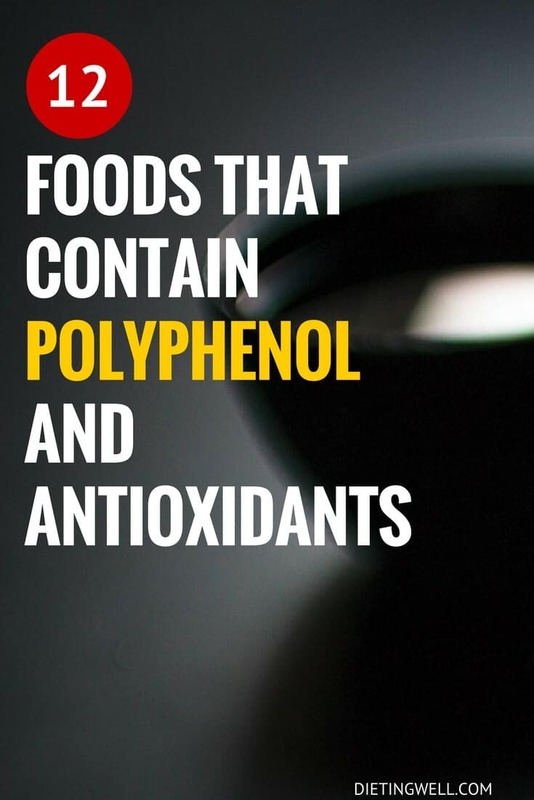 Chances are that you eat some polyphenols everyday without even realizing it. But although these micronutrients may already be present in foods you eat everyday, they’re so essential that it would be a great idea to get even more into your diet. These unique antioxidants have been shown to be great “life boosting” compounds that help our bodies in a wide range of ways. Polyphenols occur naturally in many foods such as fruits, nuts, legumes, vegetables, and spices. With a little extra effort, you can pack even more into your daily meals. Although the verdict is still out, preliminary research strongly suggests that polyphenols can aid in the protection against ailments such as diabetes, osteoporosis, and neurodegenerative diseases. They have also been linked to helping with the prevention of cancer and cardiovascular disease. 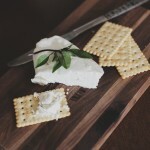 Data suggests that polyphenols have anti-inflammatory as well as anti-platelet properties, meaning they help regulate blood flow and prevent blood clotting. Many of the foods on this list have also been linked to improved cognitive function, and in helping to prevent against aging related diseases such as dementia. Although many of our diets likely already include some polyphenols, adding more of these into your meals may be a great decision to make in improving overall health. Without further adieu, here are 12 of the best foods to eat in order to get more polyphenols into your diet and improve your health. Like many fruits, apples are a great source of antioxidants. Polyphenols are abundant in the fruit and studies have shown strong benefits from regular apple consumption. One particular placebo-based study has highlighted these potential health benefits and strongly suggests that apples are a great food to add into any diet. Apples have also been shown to lower cholesterol. It’s still uncertain however whether the healthy soluble fiber in the apples or the polyphenols are the cause of this effect. Apple juice is of course beneficial to health as well, but it appears that whole apples pack a stronger punch. This is due to the fact that both the skin of the apple and the flesh of the apple contain these helpful antioxidants and fiber. Apples are a great fruit to add to your diet and are a great way to add some antioxidants to your day. Nothing could be more convenient. Simply grab an apple and chomp away at it on the subway during your morning commute or eat it as a delicious afternoon snack. Originating in China thousands of years ago, green tea has developed a reputation of being a “wonder drink” that contains numerous health benefits. These health benefits can be attributed to the presence of polyphenols, as each cup contains many of these antioxidants. Among these health benefits, green tea has been found to improve brain health and cognitive function as well as reduce the risk of Alzheimer’s and Parkinson’s disease. The tea has been shown to help with physical performance, assist with losing weight, improve dental health, and reduce inflammation. Green tea has also been found to be inversely associated with cardiovascular disease. An increased intake of just one cup of green tea per day was found to lower the risk of cardiovascular disease by nearly 5% . It may be surprising to hear, but another great food that contains polyphenols is chocolate. Milk chocolate and dark chocolate are both great sources of the antioxidants and make for one of the most delicious ways to add polyphenols into your diet. Milk chocolate and dark chocolate contain polyphenols called flavonoids which have been strongly linked to the promotion of heart health. While both types of chocolate contain these beneficial antioxidants, dark chocolate contains much more, making it the preferred type to consume. Dark chocolate is also considerably lower in sugar, meaning it’s definitely the more healthy option. One particular study links a controlled amount of chocolate and dark chocolate to a lower chance of heart disease and stroke. Of course, chocolate is best eaten in moderation and eating too much of the snack may be detrimental to your health. Don’t overdo it or the health benefits may not justify the increased fat and sugar intake, and if given the choice, opt for the more healthy dark chocolate variety. Like other nuts, pecans are a great source of micronutrients. Pecans are loaded with healthy unsaturated fat and has been shown to lower cholesterol levels. The nut also contains more than 19 vitamins and minerals such as vitamins A, B, and E, calcium, phosphorous, folic acid, magnesium, potassium, and zinc. The nutritious nut is also filled with those special antioxidants, polyphenols. Studies have shown that consuming more pecans can be a great way to improve your health in a variety of ways. In one study, pecans were shown to have had a positive impact on lipid profiles. Eating pecans also has been linked with increases in the antioxidant capacity of our blood. Additionally, pecans also help to prevent LDL-oxidation in humans. Whether you’re looking to snack away at raw pecans, try out your favorite pecan pie recipe, or add pecans into your favorite trail mix, this delicious nut is another great option for increasing your polyphenol and antioxidant intake. If you’re looking for a simple way to up your polyphenol consumption, then you may want to consider eating more cinnamon. Try adding a bit of cinnamon to your morning coffee or your favorite food and you’ll be sure to reap the extra benefits. Cinnamon includes a strong dose of polyphenols and studies have revealed a number of health benefits as a result of using the spice. Studies on cinnamon have shown that the spice can decrease fasting plasma glucose and reduce triglyceride levels. Cinnamon also has a beneficial effect on cholesterol levels. Using the spice has been shown to result in an increase of the “good” cholesterol, HDL-C, while also reducing the levels of “bad” cholesterol, LDL. Blackcurrants are another great item on our list of great polyphenol sources. A summertime favorite, these deep purple berries are incredibly nutritious and boast a number of nutrients not easily attained from other sources. The fruits contain a startling amount of polyphenols. Studies have found that blackcurrants offer some great health benefits for those who enjoy the fruit regularly. For example, a 2014 study tested the effect of the fruit on study participants versus a placebo and found that the participants that consumed blackcurrants had simultaneously improved vascular health as well as lowered their oxidative stress. While many fruits contain Vitamin C, blackcurrants contain a particularly large amount. One cup of blackcurrants exceeds the recommended daily amount of the vitamin by over 300%. Reservatrol has been linked to several healthy benefits. Consuming red wine can cause a decrease in inflammation. The reservatrol in red wine also helps to ease blood flow by signaling arteries to expand. Like many of the other items on this list, red wine has also been linked to a healthy heart. Like cinnamon, turmeric is another spice with the benefit of having polyphenols. Curcumin is the active compound of turmeric and makes using the spice a great way of getting those special antioxidants into your body. Turmeric is well known as the main ingredient in curry but can be also be found in items such as mustard as well as some butter and cheese varieties. The spice is another one of those miracle foods that has been used for thousands of years to help fight a variety of illnesses and conditions. Turmeric has definite anti-inflammatory properties and also has positive circulatory effects on the body. Turmeric may also help to fight cancers, aid with digestion, and have a positive impact on neurogenerative diseases such as Alzheimer’s, Parkinson’s Disease, and multiple sclerosis. Findings have also suggested that turmeric lowers cholesterol while simultaneously increasing healthy HDL cholesterol. While at times coffee has been controversial and considered to have unhelpful health effects, coffee has more recently been linked to positive health and has been proven to have many good qualities that outweigh any possible concerns. Coffee actually has a high polyphenol content and is one of the top ways that many people get the helpful antioxidants into their diet without even realizing it. It has been shown as being one of the top sources for the antioxidants in the current American diet. Due to high caffeine content, coffee is best used in moderation. If you’re partaking in the beverage, it’s also best to use little sugar. So go ahead. Drink that coffee, get that energy boost, and enjoy those antioxidants. Another one of those foods that has been shown to contain numerous health benefits, olive oil, especially extra virgin olive oil, contains a high concentration of polyphenols. The Mediterranean diet, a diet popular in Mediterranean countries which is thought to have strong health benefits, is highly characterized by its inclusion of this particular oil. With its numerous health benefits, it’s easy to see why. Whether olive oil’s strength can be more closely associated with the healthy fats that it contains or the polyphenols is unclear, but it’s likely a combination of both. Health benefits that have been linked to the use of olive oil include the prevention of some cancers, stroke, metabolic syndrome, and heart disease. Green tea isn’t the only tea to offer great health benefits. Black tea offers very similar benefits, since it is actually derived from the same plant variety as green tea is. The two teas only differ in the way that the leaves are processed. Some antioxidants are more abundant in black tea, while some are less common. If you’re a tea lover, drinking both green tea and black tea is a great way to gain health benefits and a larger range of antioxidant varieties. Like green tea, black tea contains a variety of beneficial antioxidant varieties, including polyphenols, and are a great way to increase overall health. Drinking black tea is beneficial in aiding cardiovascular health and is thought to be an asset in preventing cancer. Another berry that has polyphenols, blueberries are a well-loved berry that makes for a tasty way to get some antioxidants into your body. Their many benefits have been witnessed through a number of interesting studies. These studies have been used to show a relation to increased cognitive function and memory in the elderly and improvement in age-related cognitive function impairments. Blueberries have also been shown to decrease cardiovascular risk factors in obese poeple, while another study shows that blueberries help to protect against heart attack risk in young women. Polyphenols are a great form of micronutrient and antioxidant that may do wonders to our health. While some of the foods themselves (like red wine and chocolate) should be consumed in moderation, it doesn’t seem like you can get too many polyphenols into your diet. These antioxidants are a great way to stay healthy and reduce your risk of many prevalent diseases. Each of these foods have been shown to decrease your risk for a variety of diseases, so be sure to add as many as possible into your diet. By incorporating the above foods into your daily meals your heart will be healthier, your cancer risk will decrease, cognitive functions will improve, you will age better, and you will feel great as you go about your day. What Is Matcha Tea and What Benefits Does It Have? What Is Bone Broth and Is It Good for You? What are the quantities of these food do you need to eat to benefit from the positive health benefits?